The Swedish Red Cross (SRC) Middle East and North Africa (MENA) Unit is seeking a Country Representative to be based in Damascus, Syria. We are looking for someone that can strengthen our humanitarian support to people affected by years of conflict. You will be forward looking and capable of further developing SRC’s current plans for additional support both in the immediate post-conflict phase and into the longer-term stabilization, recovery and resilience work. Given Syria’s volatile context, in close cooperation with the SRC team, you will have the right reflexes and competence to initiate and launch Rapid Response Mechanism (RRM) applications to enhance any sudden emergency actions required. The MENA Unit is responsible for SRC’s emergency and longer-term programme support in the region. 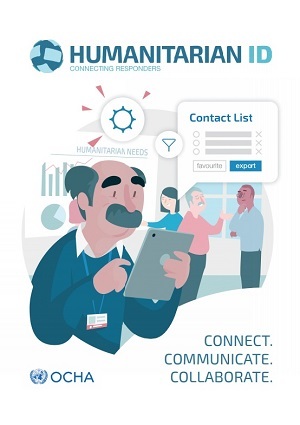 It manages relations to partners – International Federation of Red Cross and Red Crescent Societies (IFRC), International Committee of the Red Cross (ICRC) and other Red Cross/Red Crescent National Societies (NS) – all in accordance with SRC’s humanitarian strategy. The Syria Country Representative (CR) leads the development of the relationship and interventions with the Syrian Arab Red Crescent (SARC), ICRC, IFRC and other movement partners as well as follows up, monitors, facilitates the control of and reports on the implementation of current operations. Under the direct leadership of the Head of MENA unit, the position works closely with the MENA team as well as with relevant advisor positions and SRC National department colleagues as needed. While the programme portfolio currently focuses on emergency response, further interventions with particular focus on health/mental health are under development. The CR is responsible for the successful completion of this process as well as for identifying new realistic opportunities for support where the SRC may represent an added value. The CR coordinates the development and quality assurance of SRC supported projects and emergency response operations; conducts regular monitoring of supported programmes; coordinates evaluations and follows up on financial and risk management; as well as writes reports. The CR actively contributes to the coordination between emergency response and longer-term programmes. He/she captures programme results and presents them in a coherent way in reports, fact sheets and/or other documents. The position demands flexibility, and ability to adapt to new priorities, as well as frequent travel to areas of operation. At all times, the CR respects and follows external communication as well as security rules. In close coordination with relevant MENA team members the CR establishes, develops and strengthens SRC’s relationship with the Swedish International Development Agency (Sida), currently based in Beirut, Lebanon, as well as other relevant organizations such as the European Union and the United Nations. The position is based in SARC’s office in Damascus. It liaises closely with SRC ‘s MENA office in Beirut and reports to the Head of MENA Unit, based in Stockholm, Sweden. The SRC supports a safe working environment and comfortable accommodation however, as in all contexts, delegates must be aware and responsible for their personal safety and that of eventual staff under their supervision. All SRC delegates must be cleared by the HR Team including full medical and vaccination clearance. Accountability: respects, inspires trust, is dependable, and uses judgment. Team excellence: adapts, demonstrates commitment, collaborates and builds relationships. Results focused: plans and organizes work, is goal/task oriented, is solution oriented, focuses on continuous learning. Please note that only applications made through our website will be considered. In selecting candidates Swedish Red Cross uses a competency-based model and all candidates will be assessed on the above requirements.